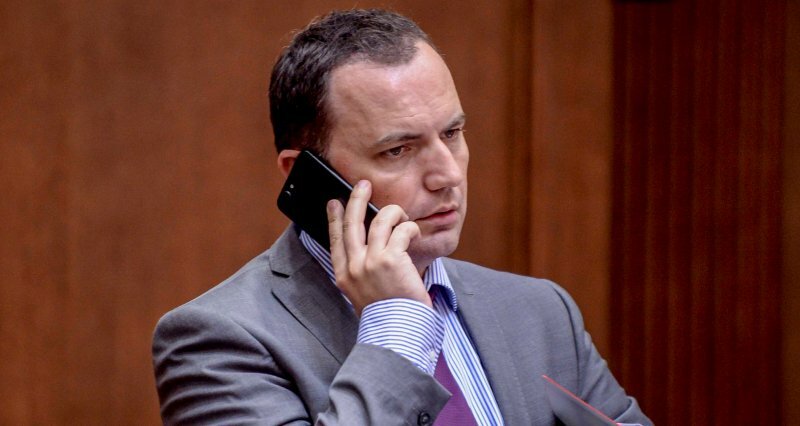 Deputy Prime Minister in charge of European integration Bujar Osmani said that his DUI party will attempt to nominate a joint presidential candidate with its coalition partner SDSM. According to Osmani, it is time to have a “consensual candidate”, a concept which DUI represents like having ethnic Albanians, represented through this party, to select the next President. DUI so far hasn’t insisted that the candidate would be ethnic Albanian. DUI proposed Yugoslav era professor Denko Maleski, who was Macedonia’s first Foreign Affairs Minister in the early 1990ies, when he was famously opposed to Macedonia’s independence. SDSM still hasn’t made a counter-proposal, and although Prime Minister Zoran Zaev said he will not run, many are expecting he may change his mind. If we are blackmailed, in the sense that there would be an opposition boycott of the presidential elections, which would cause a crisis of our institutions and then generate an even greater disruption in the EU integrations dynamic, then we would have to sit down and think about it, said Osmani. Given the failure of the September 2018 referendum to rename Macedonia, when only 36 percent of the voters came out to the polls, a potential VMRO-DPMNE boycott of the presidential elections if no early general elections are called at the same time could leave Macedonia without a President. Under the Constitution, at least 40 percent of all voters must vote in the second round for a President to be elected. Under the so-called Przino rules, if early general elections are held in late April, Zaev and key ministers must resign and allow opposition officials into the Government in a matter of days.